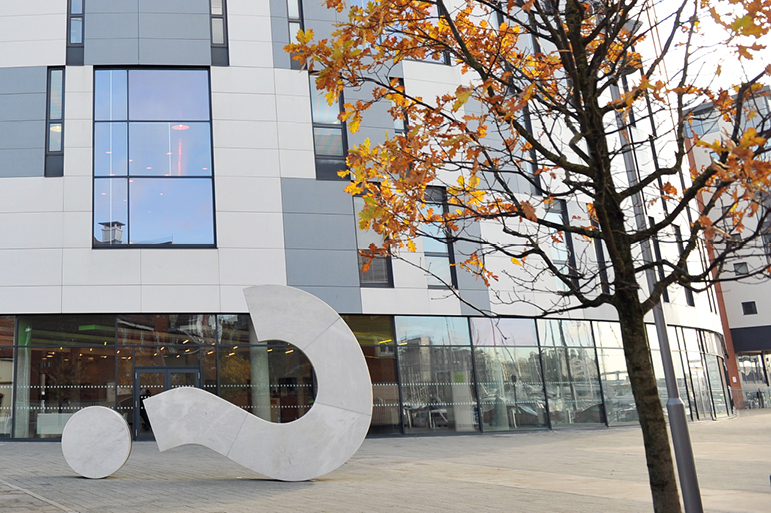 Developing research capacity and expertise in accordance with University of Suffolk strategies is a central part of the vision of the School of Art, Design and Humanities. Recent recruitment strategies have focussed on developing innovative curriculum informed by current research agendas and the employment of highly-qualified research active staff with a track-record of publication and of successfully targeting funding opportunities. This ensures that the School has a vibrant research environment that is closely linked to its teaching and learning. The School of Art, Design and Humanities has a number of research areas in which there is exciting and vibrant activity, and a desire to develop specialisms and expertise with the support of high-quality appointments to visiting professor posts. Research profiles include national and international recognition for specific specialisms. Areas include a focus on the relationship between body, space and digital technologies; and performativity, documentation and management. In both cases, these areas are closely linked to pedagogical research and development, and are supported by a National Teaching Fellowship attained by the lead researcher. Other areas include the construction and identity of performance; and dance and healthy ageing, to be further developed in collaboration with a research team in the Department of Science and Technology. In addition, the Arts and Humanities has appointed Professor Alexandra Carter as a Visiting Professor, who has an extensive research background including: the application of gender perspectives to dance analysis and dance history; developments in dance history pedagogy and historiography; and invisible histories of modern dance in Britain. Several members of staff in the School have national and international research profiles in this field. Work includes presentations and publications on the work of Virginia Woolf, Bertolt Brecht and Robert Louis Stevenson; the literary field of adaptation studies and Shakespeare on screen; digital textuality, including digital literacies, communicating online and digital fiction; language, sociolinguistics and phonology; and the creative processes associated with poetry and teaching. Research in English literature and language is supported by the appointments of Professor Blake Morrison as a Visiting Professor of Literature and Dr Jonathan Kasstan as a Visiting Senior Fellow in Linguistics. Professor Morrison is an ex-literary editor of both the Independent on Sunday and the Observer and has published widely in both academic and creative settings. Dr Jonathan Kasstan is co-editor of Cahiers, an online journal published alongside the journal of the Association for French Language Studies and has published his research across a number of academic journals and edited volumes. An examination of the creative processes associated with forms of literature is supported by Professor Morrison's highly acclaimed creative outputs and the appointment of the award-winning, internationally bestselling novelist, Amanda Hodgkinson, as a Visiting Senior Fellow in Creative Writing. The School has members of staff actively engaged in research and publication in Modern History ranging from gender perspectives and specific cultural movements; maritime history with a particular focus on the European exploration of the northwest coast of North America; rural and environmental history, with a particular emphasis on crime and protest in 19th Century British rural society; and research on the British armaments industry in the inter-war years. The history teams research work will be further extended by the appointment of Professor John K Walton as a Visiting Professor, whose research interests focus on international and comparative social history, particularly in seaside resorts and tourism, sport and regional identity. Research in the visual arts at the University covers a broad range of topics and, as in dance, frequently explores the intersection of theory and practice. Areas of research include work that looks at the meaning of place and representation of identity; explorations of visual history and theory; research into architectural theory and practice, particularly focussing on the intersection of architecture and culture; and work that investigates how the artists own positioning is understood in relation to others. Practice as research is recognised as a significant mode of enquiry in the arts. National and international research outputs include fine art, photography and illustration exhibitions and installations, film screenings, and digital animations. The growth of the research base in the visual arts is supported by the appointment of two Visiting Senior Fellows: LordCunliffe and Eamonn McCabe. Roger Cunliffe has worked as an architect, city planner, project manager and management consultant, has considerable experience in professional education, and has extensive international connections. Eamonn McCabe is a distinguished photographer with experience in sports photography, photojournalism and as a picture editor. He is a Fellow of the Royal Photographic Society. The School, in partnership with Ipswich Borough Council and Arts Council England, facilitated the making of a significant piece of public art, Question?, which was unveiled in late September 2011. The commissioning of such high quality work by international artists, Langlands & Bell, is indicative of the School's commitment to prioritising aspirational practice and research. Staff in the School are currently engaged in a range of enterprise activities that build on research and scholarship activities. This includes a very successful lecture series running each week and attracting academic and professional speakers across the full range of subjects offered. The School is also working with Ipswich Borough Council, Suffolk County Council and Arts Council England to provide incubation and pre-start up facilities for students, graduates and local practitioners. Postgraduate research students will be encouraged to become involved in enterprise activity within the School. The School has developed formal relationships with a number of senior representatives of stakeholder communities from the private, public and social enterprise/not-for-profit sectors in order to facilitate contributions from specialists from outside academe. These contributions are to develop potential economic support for research activity, the provision of further additional expertise and the identification of research opportunities.